Tuesday morning was another rain-filled day and it was a major issue for businesses on Gardner Avenue. KANSAS CITY, Mo. 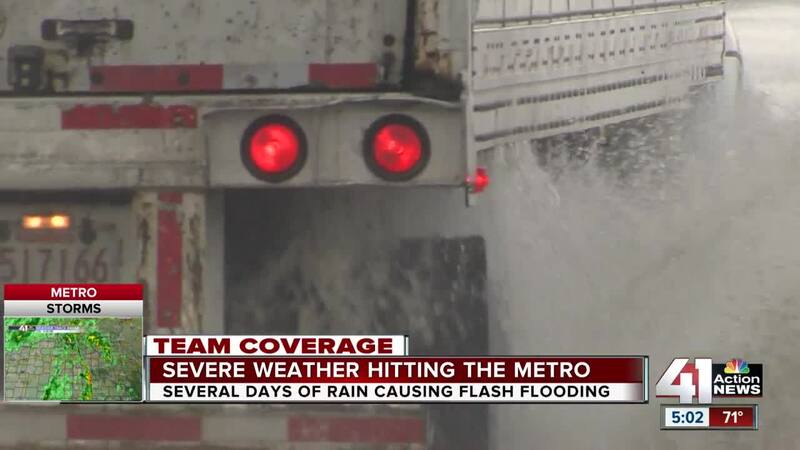 — Tuesday morning was another rain-filled day and it was a major issue for businesses on Gardner Avenue. If you haven't been living under a rock, you know parts of Kansas City have been under water. "This morning it was at where we are standing. Where we are standing right now. Yesterday it was at our shop doors," said Stephanie Smith with Pomp’s Tire Service. The parking lot for Pomp's looked like a lake Tuesday. "It impacts business. Light truck for sure. 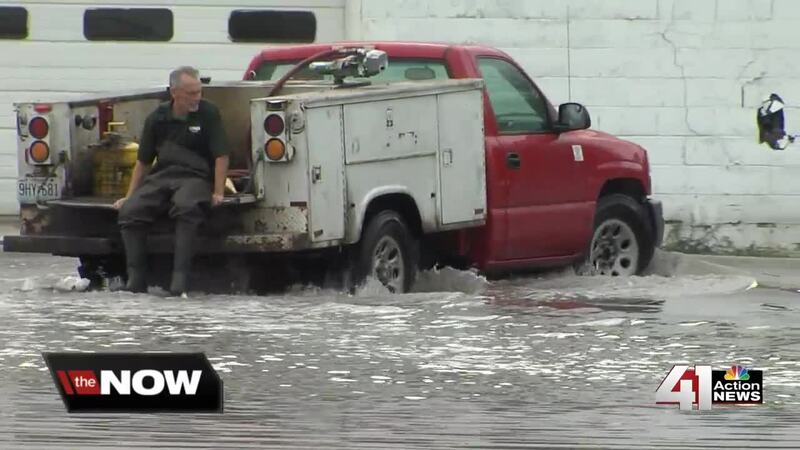 The biggest issue is the trucks coming through the water and when they come through it floods the shop," said Smith. Gardner Avenue is a problem area for the city. "It's not had this much rain, clear up to the building in 15 years," said David Leavitt, Chief Operating Officer at Victor L Phillips Company. Next door at Jim's Disposal Service, the water was up to the window of a car. The disposal service had to delay the start of trash pickup because of the water. Leavitt said while Tuesday was bad, things have gotten better. "Obviously its something we wish we didn't have to deal with, we would like to have less rainwater, because it impacts our business, but the city is doing all they can I think," said Leavitt. Others think more needs to be done. "Its something that is known, it would be nice if the city did something but I don’t know the solution," said Smith.